Tabcorp has grabbed 10 pct of target Tatts. The share raid is unusual midway through an agreed deal. It warns gatecrashers away from the $5 bln tie-up, and heads off talk of a Tatts breakup. But if competition approval is not forthcoming, Tabcorp will have overplayed its hand. 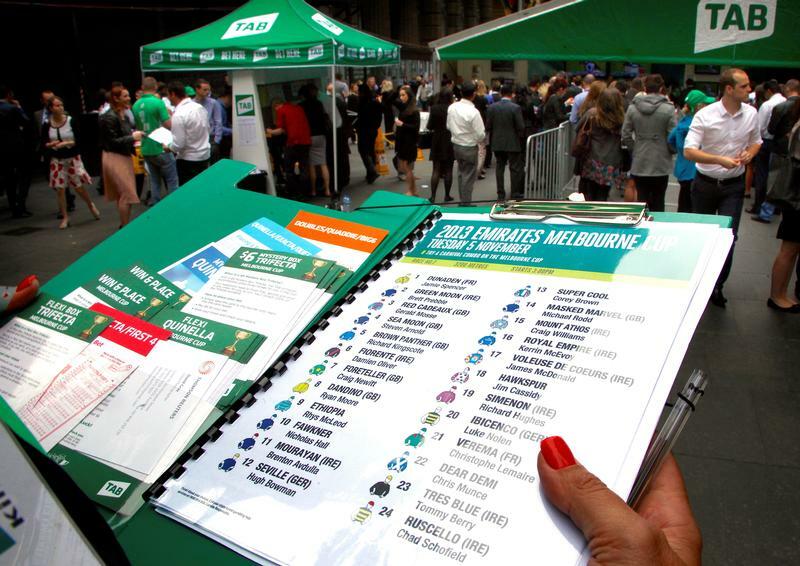 Australia's Tabcorp on Nov. 25 said it had purchased control of around 10 percent of its takeover target Tatts for A$638 million ($474 million). The shares were bought at an average A$4.34 each through a cash-settled equity swap with Swiss bank UBS that gives Tabcorp voting rights subject to certain conditions, the company said. A source familiar with the situation told Reuters the share purchase was meant to make it harder for an interloper to break up an agreed merger between the pair. Tabcorp, Australia's biggest bookmaker, last month agreed to acquire lottery operator Tatts for A$6.4 billion to fend off a growing challenge from overseas online rivals. The merger, which remains subject to competition approval, is being done via a scheme of arrangement. That will require the approval of 75 percent of Tatts shareholders. Tabcorp, the smaller of the two companies by market value, will offer 0.8 of a Tabcorp share plus A$0.425 in cash for each Tatts share. That implies a value of A$4.09 based on the last closing price of Tabcorp. Tatts shares closed at A$3.93 on Nov. 24. They soared 6.2 percent on the morning of Nov. 25, to reach A$4.175 shortly before noon.